Videorama lets you make amazing movies out of your photos and videos. You will feel like a pro in minutes! - Want to create fun movies out of your family videos and photos? - Need a powerful yet easy tool to promote your brand on YouTube, Instagram, Facebook? - Want to edit videos taken using your drone or action cam? - Planning to be the next social media celebrity through cool videos? This app is what you need! - Combine your photos and videos. Trim, cut, split, re-scale them any way you like. - Turn your still images into slideshows, add transitions effects. - Reverse, speed up / slow down your videos, flip or change orientation. 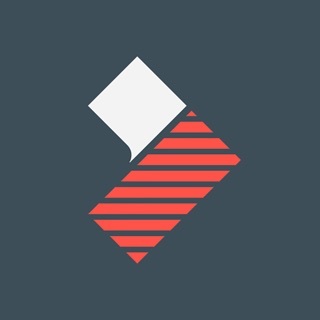 - Make square (Instagram ready) videos. - Add animated text layers over your videos, easily subtitle them. - More than 50 professional fonts. - Enrich your videos with fun special effects. - It's a mini Hollywood film studio in your pocket! - Add your own music from your iTunes library or choose from a list of cinematic tracks included. - Hundreds of fun sound FX to spice up your videos. - Record your own voice and add narratives. - Apply pro filters and overlays to your movies. - Adjust brightness, contrast, exposure, saturation and more. - Overlay any image over your video, choosing from your photo gallery or from our free stock photo library. - Easily watermark your videos with your company / brand logo. - We've partnered up with the world's biggest, free stock video search engine. Search their library right inside the app and mix their content with your own videos. - Apply effects in real time, no waiting, no loading! You'll be amazing with what you can do with Videorama. Follow us on Instagram / Twitter at @VideoramaApp to get tips and inspiration. • 1 Month With Videorama PRO you'll have unlimited access to all the premium content and features. • To cancel or manage your subscription, navigate to manage your Apple ID in your device's settings. Sign in to the iTunes / App Store, tap Videorama, and turn off the automatic renewal for the subscription. Disabling the automatic renewal must be done 24-hours before the end of the subscription period to avoid being charged. Due to Apple’s policy, immediate cancellation of subscriptions isn’t possible. To restore your upgrade to Videorama PRO on a new device, go to the INFO screen, tap the “Restore Previous Purchases” option and your subscription / previous purchases will become active free of charge. Reach us at support@apperto.com for any help or feedback. Yêu cầu phiên bản iOS 9.0 trở lên. Tương thích với iPhone 5s, iPhone 6, iPhone 6 Plus, iPhone 6s, iPhone 6s Plus, iPhone SE, iPhone 7, iPhone 7 Plus, iPhone 8, iPhone 8 Plus, iPhone X, iPhone XS, iPhone XS Max, iPhone XR, iPad Air, iPad Air Wi-Fi + Cellular, iPad mini 2, iPad mini 2 Wi-Fi + Cellular, iPad Air 2, iPad Air 2 Wi-Fi + Cellular, iPad mini 3, iPad mini 3 Wi-Fi + Cellular, iPad mini 4, iPad mini 4 Wi-Fi + Cellular, iPad Pro 12.9-inch, iPad Pro 12.9-inch Wi-Fi + Cellular, iPad Pro 9.7-inch, iPad Pro 9.7-inch Wi-Fi + Cellular, iPad Wi-Fi (thế hệ thứ 5), iPad Wi-Fi + Cellular (thế hệ thứ 5), iPad Pro 12.9-inch (Thế hệ thứ 2), iPad Pro 12.9-inch Wi‑Fi + Cellular (Thế hệ thứ 2), iPad Pro 10.5-inch, iPad Pro 10.5-inch Wi‑Fi + Cellular, iPad (thế hệ 6), iPad Wi-Fi + Mạng Di Động (thế hệ 6), iPad Pro (11 inch). iPad Pro (11 inch) Wi-Fi + Mạng Di Động, iPad Pro (12,9 inch) (thế hệ thứ 3), iPad Pro (12,9 inch) (thế hệ thứ 3) Wi-Fi + Mạng Di Động, iPad mini (thế hệ thứ 5), iPad mini (thế hệ thứ 5) Wi-Fi + Mạng Di Động, iPad Air (thế hệ thứ 3), iPad Air (thế hệ thứ 3) Wi-Fi + Mạng Di Động và iPod touch (thế hệ thứ 6).